When other methods of reinforcing plastics can’t provide the performance you require – or you want to make the switch from metal to plastic – long glass fiber reinforced composites are the solution you need. Long glass fiber composites start as continuous filaments of fiber, which we melt-impregnate with thermoplastic polymer in our pultrusion process to create a high performance bond, then cut into 1/2 inch (12 mm) composite pellets for convenient processing into net shapes via injection molding or extrusion. 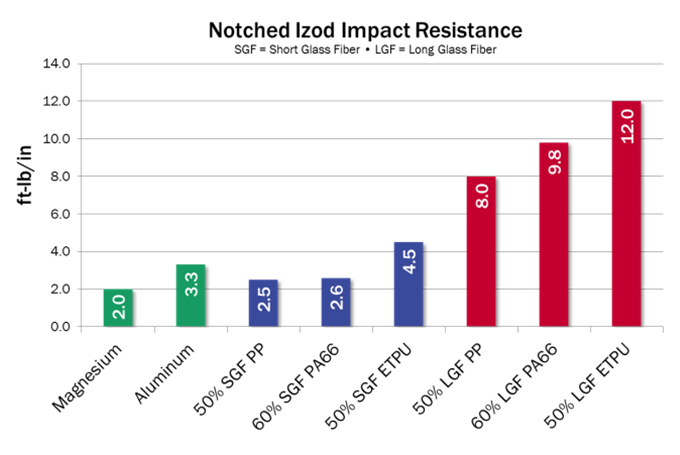 Higher aspect ratio fiber reinforcement through the full length of our pellets results in more robust properties than short/chopped glass fiber filled compounds. During processing these longer fibers intertwine and align to form an internal fiber skeleton that strengthens the polymer to help carry and dissipate stress forces – greatly increasing strength and impact resistance. 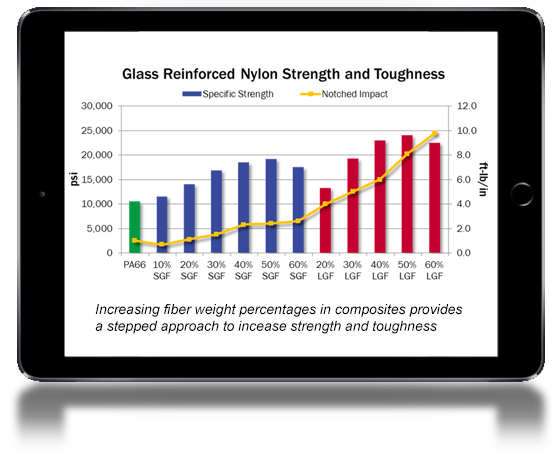 Long glass fiber cost effectively boosts the mechanical properties of any thermoplastic polymer from polypropylene to PEEK to higher levels – meeting the performance of metals at a fraction of their weight. 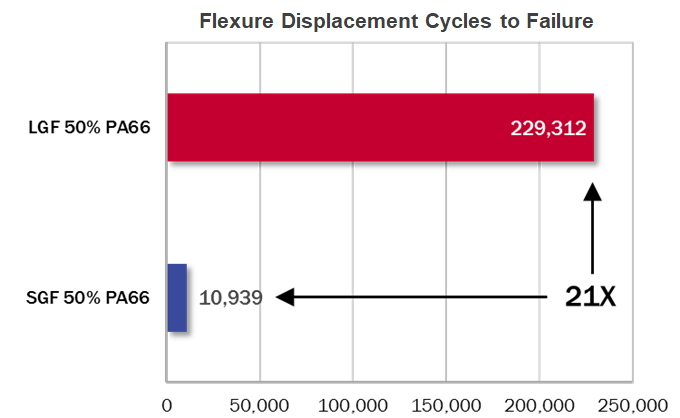 Property increases are retained over a broad range of usage environments and temperatures down to -60°F (-51°C). Put long glass fiber’s stronger, tougher, and lighter capabilities – along with our composites engineering expertise – to work helping you create and deliver better products.